One of the best surprises we received last year was a handmade holiday card from one of our neighbors. We were new to the ‘hood. They had heard we were fanatical DIY’ers. They hoped we would like their card, which was thoughtful and precious and, evidently, extremely memorable. So let’s take their lead. 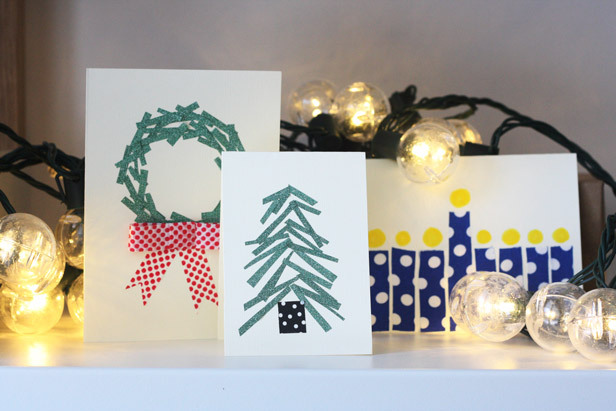 In a day in age where the popular thing to do is to send out a photo card ordered online, take a few hours and design your own handmade greetings. Who’s with me? Washi tape is perfect for modern collage art. It’s available in many colors, a fun accent when used as functional tape, and pretty on its own. For those reasons, I stocked up on a few new rolls for $3/each, dedicating it as my tool of choice for this year’s handmade card series for our friends in the neighborhood. 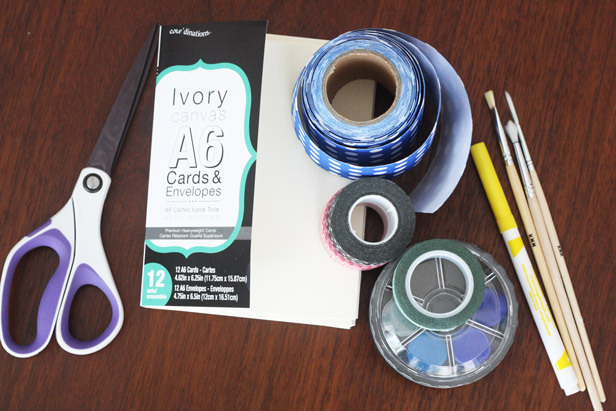 You’ll find that getting into the holiday spirit is easy with a little creativity. Turn up the tunes, brainstorm some graphic designs like a wreath, a Christmas tree, a menorah, an ornament, and get crafty. 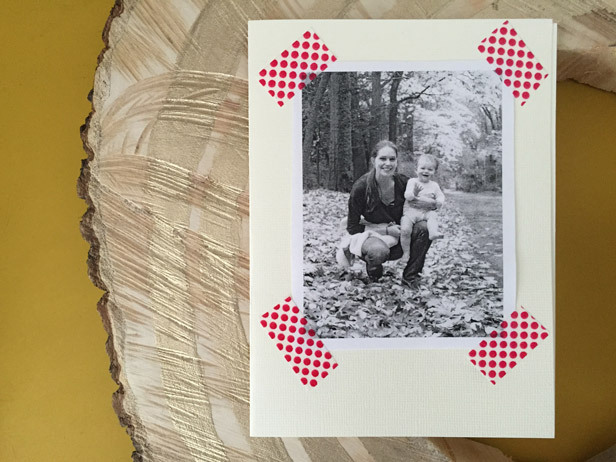 If you do want to highlight your favorite dog/baby/child/husband on a card, consider this (inexpensive) alternative: size your favorite photo of said person to fit in a 3″x4″ rectangle, print out the photo on your ordinary black and white home printer, trim the paper so a little white is showing around the photo (the frame = dressing it up) and tape it to a blank card with pretty washi tape. Scribe your handwritten note along the inside, and know that your little handmade creation will totally be featured on someone’s fridge. 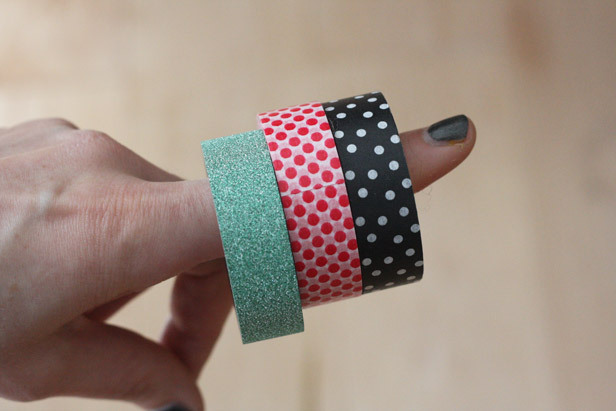 Looking for other fun crafts involving washi tape?